Most states in western India, including MP, have become self-reliant in energy. How to address problem of plenty? In electricity system of any region, the demand for power varies with time in a day and also seasonally. It peaks during evenings when the demand for lighting comes up.Coal-based, gas-based and nuclear power plants can only cater to steady loads (base loads) but not peak demands for which it is necessary to have hydro-electric power stations based on storage reservoirs. In India, there is a serious imbalance in generation mix which is heavily tilted in favour of coal-based power catering to steady loads and there is a deficit of peaking power plants based on hydro-electricity. 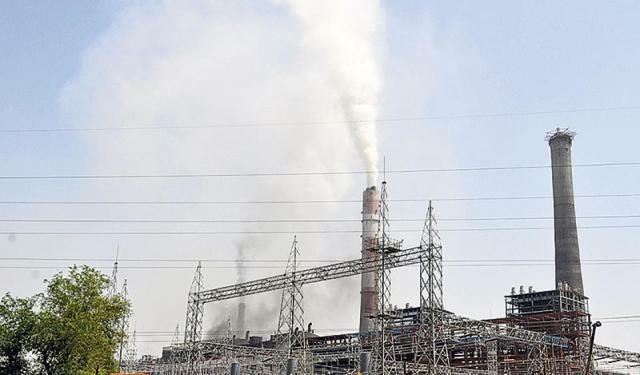 Many coal-based power plants are running at less-than-optimal capacity, whereas, in the absence of adequate peaking capacity, there are power shortages during peak hours. MP will have two nuclear energy plants of 2,800 MW and 1,400 MW each. Since MP is an energy-surplus state, how can it transmit it? MP will not be able to absorb this power. To transmit it to other states, it is necessary to set up high voltage transmission lines which are not readily available. When transmitted, there will be additional costs to deliver electricity to consumers in other states, apart from some marginal transmission losses in energy. Even in other states, it will be difficult to absorb such large quantum of energy. None of these nuclear power projects will materialise in the foreseeable future. By the time they come up, they will prove highly expensive. They will not fit into the power supply system of either MP or that of the western regional power system which require peaking power, not base load power. In my assessment, capacities of MP’s two nuclear plants is likely to increase under pressure from MNCs. Considering that nuclear power is expensive, inappropriate in the context of grid requirements in India and highly accident-prone, it will not be prudent for government to proceed with such projects. Why do MNCs (multinational companies) favour India? Western MNCs which supply nuclear reactors and fuel are looking for business opportunities in developing countries, as the business opportunities in their own countries have declined after major accidents which have shaken public confidence. These MNCs are keen to set up plants in India and other countries but are reluctant to assume any financial or other responsibility for accidents that might take place as a result of reactor design deficiencies. This is because liabilities in case of nuclear accidents can be very large. Due to pressure from the west, India had to promulgate a nuclear liability law that caps the liability that will devolve on the reactor supplier in each case. In India, the cap has been fixed at around ₹1,700 crore which is negligible compared to the actual liability that could run into lakhs of crores of rupees. Domestic uranium is heavily subsidised and burden is indirectly borne by tax payer. The cheapest way to get energy is to make efficiency improvements starting with end-use appliances (lights, fans, motors), reduce transmission losses, improve generation efficiencies, and set up roof-top solar panels.